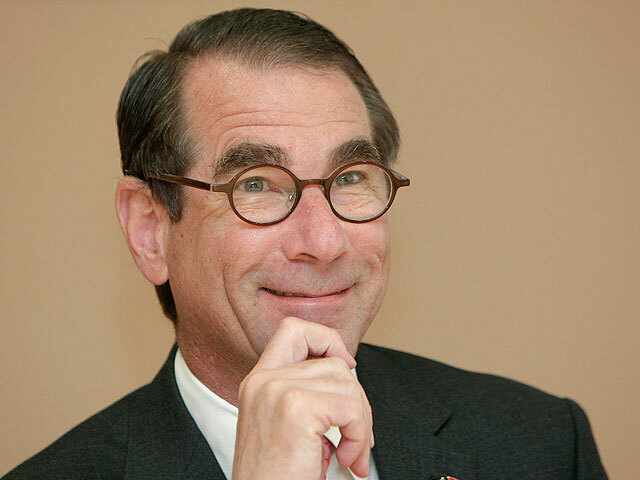 Alan D. Solomont, US Ambassador to Spain, will join IE School of International Relations as an annual Visiting Professor of International Relations in the 2014-2015 academic year. Ambassador Solomont will teach in both the Master in International Relations and the Bachelor in International Relations programs. The announcement follows the designation in May earlier this year of Ambassador Solomont, social activist and entrepreneur, as Distinguished Visiting Professor by IE University. “It is a great honor, and one which evidences the way the US tradition of entrepreneurship influences the way the next generation of business leaders, many of whom will come from IE, see the world,” said Solomont in a statement. Ambassador Solomont has served as a member, and then chairman, of the bipartisan Board of Directors of the Corporation for National and Community Service (CNCS), as well as on the boards of directors for several nonprofit and for-profit organizations, including the Boston Medical Center, Angel Healthcare Investors, Israel Policy Forum, the University of Lowell and the University of Massachusetts, The John F. Kennedy Presidential Library Foundation, and the WGBH Educational Foundation. In 2009 he was nominated to be the U.S. Ambassador to Spain and Andorra, a position he will hold until later this summer. Ambassador Solomont holds a B.A. in Political Science and Urban Studies from Tufts University and a B.S. in Nursing from the University of Massachusetts. He received an Honorary Doctorate of Humane Letters from the University of Massachusetts, Lowell in 1994 and an Honorary Doctorate of Public Administration from Suffolk University in 2012. Ambassador Solomont has been recently appointed the Pierre and Pamela Omidyar Dean of the Jonathan M. Tisch College of Citizenship and Public Service at Tufts University. Ambassador Solomont is expected to assume the deanship on January 2, 2014.